Build : 2003 by Nichols Bros. Boat Builders – Freeland, Washington in the U.S. of A., nr ?? Another experimental Swath design Fast littoral combat ship from the United States Navy. I have no clue how you think about them but they do provide a good source of ships to be discussed or ridiculed here on this website. Not only is her bridge placed off center giving her a bit of lob-sided view, she also has one of them particular Double Bridges we discusses here before. I wonder again who is residing up there: the captain Commander, or the outlook, or the party-chief?? Party chief, that must be it! The shape of that double bridge does suspect that she always has her party hat on. So it must be the official residence & headquarters of the Party Chief. Case closed! 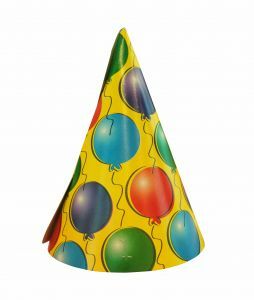 Imagine that: wearing a party hat while going into war! But there are more navy vessels in the world who are guilty of that fact. The 4 new Offshore Patrol Vessels of the Royal Dutch Navy. And I’m sure there are plenty more examples to be found amongst the Navies of this world……………… actually: Fairlane beat me to it, including the illustrious “party-hat”-comparison: HMS Dauntless (D33).